Four reversible jaws hold square stock securely. 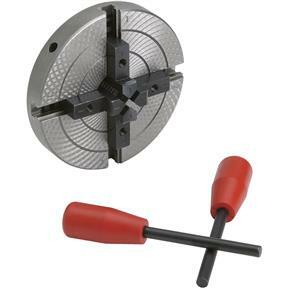 Jaws are self-centering and tighten at the same time.Specifications:Size: 1"TPI: 12Max Work Dia: 4-3/4"Min Work Dia: 1-3/4"
Four reversible jaws hold square stock securely. Jaws are self-centering and tighten at the same time.